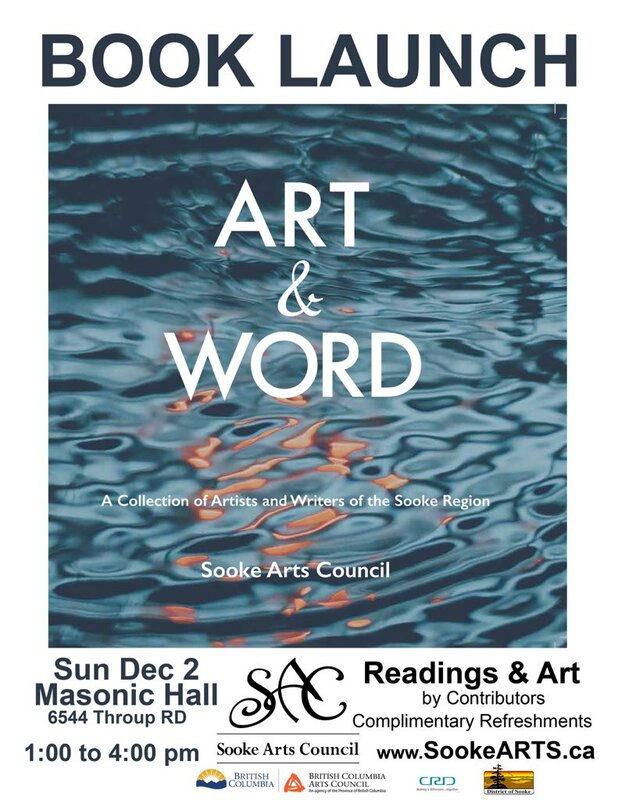 On Sunday December 2 between 1:00pm to 4:00pm, the Sooke Arts Council will be launching their new book at the Sooke Masonic lodge, 6544 Throup Rd. There will be the usual book launch activities of readings and perhaps music. The book has a total of 33 contributors, including well-known musician Morry Sterns who wrote the Earth Day Anthem “Mother Earth,” author Wendy Morton and artist Linda Gordon.